Who else loves custom art on phone cases? 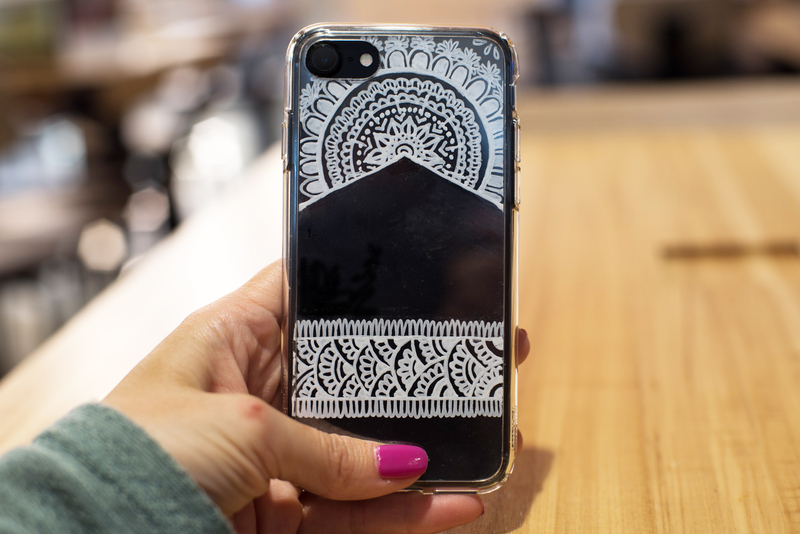 Some of my favorite phone case designs on the market right now are white henna-inspired line drawings on clear cases. You can easily make one yourself without shouldering the heavy printing costs of going through a company like Casetify. Check out this easy DIY henna phone case for how to make a henna or mandala interchangeable phone case design to fit your mood and creativity. First, you’ll need to make a template. Lay a sheet of white printer paper or clear acetate over the face of the clear phone case. Use a fine-tipped sharpie or pencil to mark the shape of the phone case surface. With my phone case, there was a little divet for the bumper. Trace the inside of this divet, including the rounded corners. Use a straight edge if it helps. Cut out the template along the lines you just made, and check to make sure it fits in the case. Trace the phone camera hole, and use the xacto knife to cut it out. Line your template up over a sheet of clear acetate, and cut out the final shape with a Xacto knife. It may help to secure the two sheets together with artist’s tape or washi tape. Cut out 3-4 more so you can draw a few designs and maybe even mess one up if you believe in that sort of thing. Make sure to draw on the right side. The end product will have the paint pen touching the inside face of the phone case, not the phone itself. Otherwise the paint pen may rub off on the phone. Next, pick up your extra fine-point white paint marker. It’s time to draw! Draw whatever you want on your clear acetate. I drew a henna and mandala-inspired design. Look, drawing has no rules. Drawing is freedom. Don’t listen to anyone who tells you otherwise, unless you think you need some rules (you’re wrong though). If you want some rules, the rules are to draw with a fine-point paint pen on a sheet of clear acetate. If you need more rules than that, consider exploring the variety of concentric marks you can make radiate from the center of the drawing. 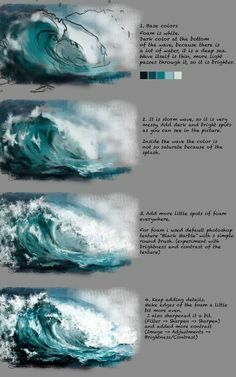 Once your drawing is finished, draw four more. Draw one every day for a year. One of the cool things about drawing on the acetate rather than on the phone case itself is you can easily change out your design. After the paint pen dries, put the drawing on the inside of the phone case with the ink side touching the plastic. Snap the case over your phone, and you’re done! Make sure to use a screen protector with your phone, too. Head on over to my Pinterest board for henna or mandala drawing ideas.